Datalogic is pleased to introduce the new QuickScan™ Lite QW2400 2D area imager! 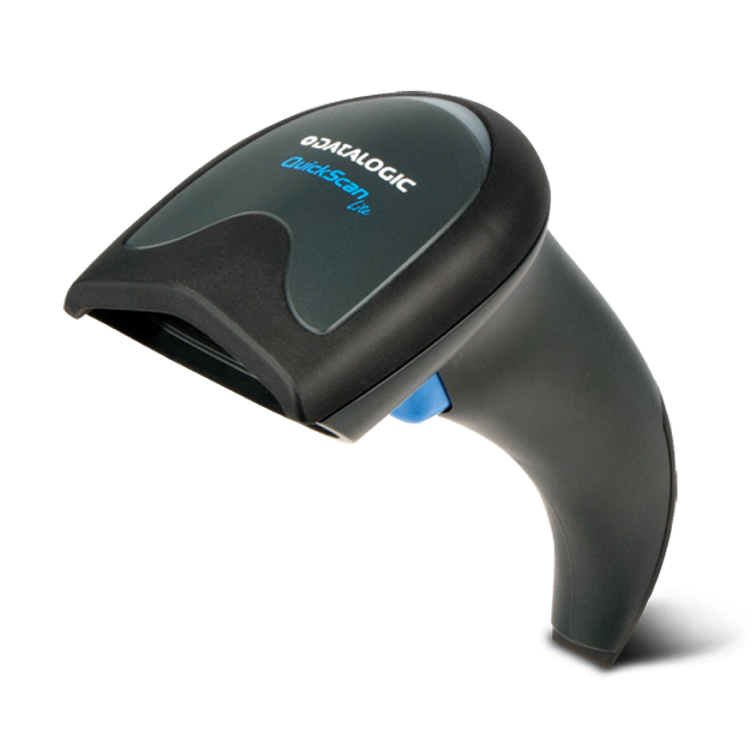 This new imager is a corded (desk) entry level handheld scanner further expanding the QuickScan family of readers. The QW2400 area imager is an excellent choice to meet the scanning needs in Retail, Light Manufacturing, Document/Bill Processing and Banking/Finance where longer linear bar codes are prevalent and often used. The QuickScan Lite 2D imager is also the most affordable area imager with the best performance in its class. The B-SX6T-TS12-QM-R will be discontinued on 30th September 2017. The devices will still be available for order until 30th June 2017. Following this date all stock will be subject to availability. The replacement model B-EX6T-TS12-QM-R is available for order now. The B-EX6 series offers performance and functionality to meet the demands of the wide-web printer marketplace. 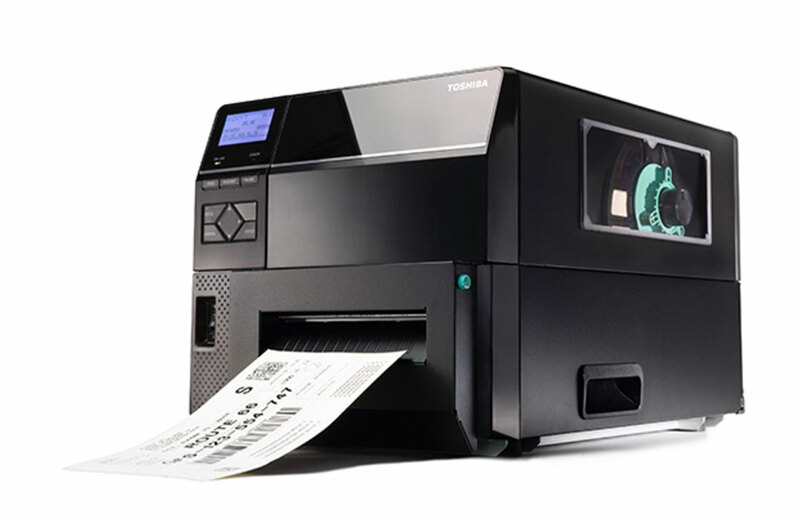 Designed with features and options to offer the lowest cost of ownership; including an extended long-life print head; Toshiba's unique ribbon save mode and an 800m ribbon, to improve efficiencies and ultimately reduce costs of the printer. Supporting 6-inch media, with speeds of up to 12 inches per second, the B-EX6 range can handle the most demanding printing applications. In addition, high throughput is facilitated with advances processing capabilities, increasing overall efficiency and productivity. For more information on the B-EX6T1 series contact us. If you have any questions relating to this bulletin please contact your Account Manager or head office contact. The RIDA DBT6400 2D area imager is a cordless device with Bluetooth® wireless technology to be used in connection with mobile devices. The elegant and stylish design is small, pocket-sized and fits perfectly into the palm of a hand. This ultra-compact area imager is capable of reading virtually any 1D or 2D bar code and ensures outstanding performance on mobile phone screens. Datalogic's RIDA™ DBT6400 cordless imager with Bluetooth wireless technology is the ideal workmate for connection with mobile devices. The imager is a small, ergonomic, perfectly hand-fitted wireless device with a modern and elegant design. The RIDA DBT6400 imager pairs easily with Android™, Apple® iOS and Windows® Mobile® devices as well as standard laptops equipped with Bluetooth wireless technology. This imager reads 1D and 2D bar codes, damaged or poorly printed codes and bar codes on mobile phone screens. Its main features include image capture capability, white illumination and the most efficient aiming system in the market place. The compact size and light weight form factor of this mobile imager offers freedom of movement while scanning. Cutting edge technology for every retail application in the palm of your hand. 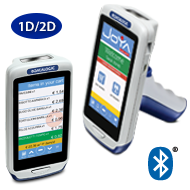 The Joya Touch multi-purpose device allows consumer facing applications such as Self-Shopping, Queue Busting and Gift Registry to be resident on the same device as operational applications such as Shelf Replenishment, Inventory Control, Mark Downs, Price Checks and more. The handheld and pistol grip form factors allow retailers to deploy device configurations to match their specific applications needs. The Joya Touch device is easily customizable offering the retailer options for corporate branding and marketing placements on the device. Bluetooth®v4 and Beacon technology that allows for in-store localization. 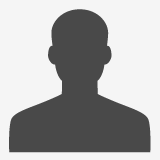 This facilitates connections to a wide range of devices such as payment systems, headsets and printers. Unique wireless charging capabilities/contact free charging offering retailers a longer lifespan of the units while decreasing support costs. Recharging in only 2.5 hours, with a boost recharge feature ensuring 80 minutes of use after only 15 minutes of charging. Three bay dock easily charges both handheld and pistol grip designed devices, offering both high density or high visibility options. 802.11a/b/g/n Wi-Fi radio, offers dual band support for interference free communications. 4.3 inch touch display that employs Corning ®Gorilla® Glass 3 for industrial strength qualities while offering both FWVGA and QVGA resolutions. Microsoft Windows Embedded Compact 7 (WEC7) offering full legacy compatibility.